The Special Theory of Relativity is presented as a generalization from experiment, to the effect that there is no meaning in absolute motion. The distinctive feature of the book is the development of the familiar formulae of the theory from the single postulate regarding length. The book was first published in 1940. 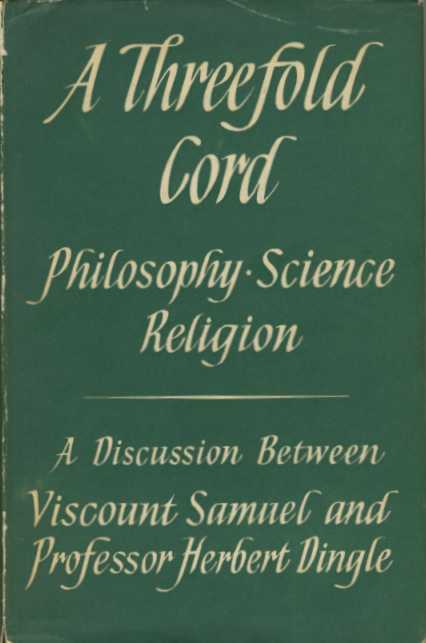 By the time the fourth edition was about to be published in 1961, Dingle had come to believe that the theory was no longer tenable, and wrote as follows in the Preface to the 1961 Edition: "Since this book was written, reasons have appeared, which to me are conclusive, for believing that the theory is no longer tenable. Though this is not yet generally accepted, it has not been questioned that, so far as experimental evidence goes, an alternative theory is equally possible. This is quite a different situation from that existing previously, when the theory seemed the only possible interpretation of the facts of experiment. 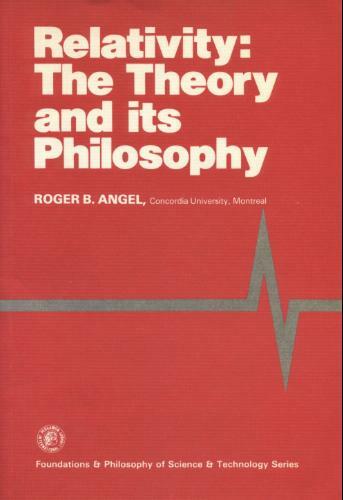 My first impulse was to withdraw the book from circulation, but on second thoughts it seemed more fitting to re-issue it with an explanation of the present position in relation to the presentation of the theory given here." It seems that it was Enos who came up with the idea of teaching special relativity to our freshmen and when he discussed this with Tom the two agreed that it was worth trying. In those days very few if any institutions included relativity in their introductory physics course, so finding an appropriate textbook for the course presented a problem. Tom thought he had solved that problem when he found in our library what seemed to be just the right book, ?The Theory of Special Relativity? by Herbert Dingle. Enough copies were ordered to take care of that year?s freshman class and the bold experiment seemed ready to start. When the books arrived, however, Tom discovered to his dismay that the publisher had sent Dingle?s latest edition, which was not at all like the one he had reviewed. 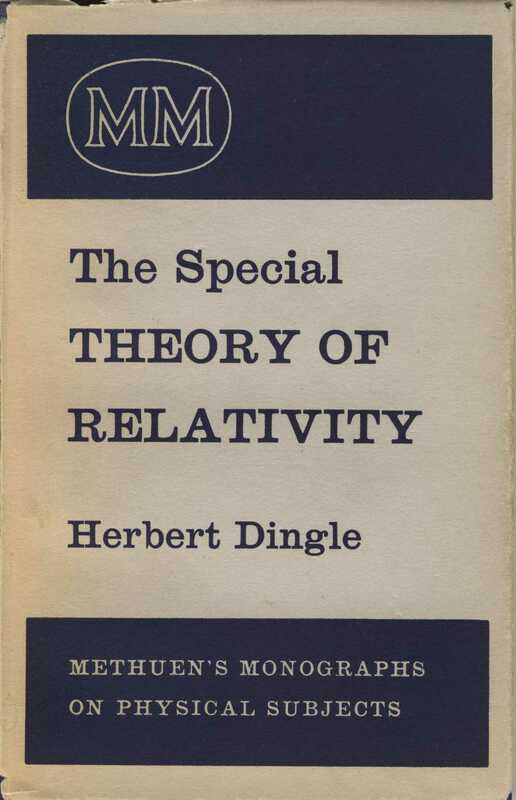 It seems that Dingle had become convinced that Einstein?s theory was all wrong and thus had written an entirely different text in which he attacked the whole theory. By this time it was too late to find and order another text so Tom was forced to write up some notes of his own. Over the next couple of years those notes were not only used for the course but also were refined to the point where several publishers began pressing Tom to put them into print Tom signed with Allyn and Bacon in 1965 and in 1966 the book carne out That book, ?An Introduction to Special Relativity,? has stood the test of time and is still used at several colleges and universities, including HMC. When I visited Lewis and Clark College a number of years ago, I found that they were using Tom?s book for their relativity course, even though it was no longer in print, because, they said, ?We have never been able to find anything that even comes close to it.? This book is aimed at a large audience: scientists, engineers, professors and students wise enough to keep a critical stance whenever confronted with the chilling dogmas of contemporary physics. Readers will find a tantalizing amount of material calculated to nurture their thoughts and arouse their suspicion, to some degree at least, on the so-called validity of today's most celebrated physical theories. Readership: Students and academics in advanced physics. From the Foundations & philosophy of science & technology, Pergamon international library, this book is an introduction to the special and general theories of relativity and their philosophical foundations and implications. It provides the basic mathematical and physical tools to enable a student to proceed to an informed and independent assessment of the philosophical claims which are based on these theories. Based on papers originally presented at an international conference on Redshifts and gravitation in a relativistic universe, held Sept. 17-20, 1999, Cesena, Italy, this book features essays by Prof. Andre K. T. Assis, Henrik Broberg, Dr. Franco Selleri, Dr. Tom Van Flandern, Dr. Halton C. Arp, Bernard R. Bligh and others. If rain begins to fall on previously dry areas on the earth, the water on the ground will make its way from high levels to low levels in a variety of ways. Some of these ways will be more or less obvious, predetermined by pronounced mountain formations and valleys, while others will appear more or less at random. Whatever courses are being followed by the first waters, their existence will largely prejudice those chosen by later floods. A system of ruts will consequently be established which has a high degree of permanence. The water rushing to the sea will sift the earth in these ruts and leave the extended layers of earth outside essentially unexplored. Just as the rains open up the earth here and there, ideas unlock the doors to various aspects of life, fixing the attention of men on some aspects while partly or entirely ignoring others. Once man is in a rut he seems to have the urge to dig even deeper, and what often is most unfortunate, he does not take the excavated debris with him like the waters, but throws it over the edge, thus covering up the unexplored territory and making it impossible for him to see outside his rut. The mud he is throwing may even hit his neighbours in the eyes, intentionally or unintentionally and make it difficult for them to see anything at all. This volume, devoted to the problems of relativity, gravitation and related issues in physics, presents papers delivered and/or discussed during the conference ?Redshifts and Gravitation in a Relativistic Universe? held in Cesena on September 17-20th 1999. In a way, this conference represents a response to Zwicky?s method, outlined above. Its main aim was to serve as a forum for ideas and theories that go against the mainstream of science. Some of the theories are already cast in their final form; some are just rough ideas still undergoing development. Not all of them will prove correct, just as not all of the mainstream theories are wrong. Only reality is an absolute truth, while our theories have only approximate validity. The great German thinker Johann Wolfgang von Goethe wrote: not distinguishing between reality and theory is like not distinguishing between a building and its scaffolding. Theories are tools, not objects of scientific investigation, but indispensable tools. Only a wide variety of tools can enable us to carry out such a complicated task as scientific research. In addition, a wide variety of observed phenomena have to be taken into consideration in a properly organized scientific investigation. Some phenomena which are seldom mentioned by others?such as quantization of redshifts?are discussed in this volume. Some of the papers are presented here in more or less the same form in which they were delivered during the conference. Some were reworked more recently and take a final form different from the presentation. No minutes of the extensive discussion in the conference auditorium or the more lively discussions that continued during breaks and around dinner tables were recorded. In some cases the discussions are reflected in the final shape of the papers. Two of the papers included here were not presented as such during the conference, but their content was mentioned and taken under consideration during the debate. This volume therefore should not be regarded as a formal proceedings of the Cesena Conference, although it does fairly reflect the substance of the event. In his contribution A.K.T. Assis proposes the principle of physical proportions, according to which all laws of physics can depend only on the ratio of known quantities of the same type. An alternative formulation is that all universal constants of physics (G, c, Planck?s constant, Boltzmann?s constant, etc.) must depend on cosmological or microscopic properties of the universe. There is a discussion of laws satisfying this principle and of other laws which do not follow it, implying that the corresponding theories must be incomplete. The author shows how to implement this principle by means of his theory of Relational Mechanics, as set out in the book of the same title (Apeiron, Montreal, 1999). The paper presented by H. Broberg is based on the equivalence between gravitation and acceleration, initially suggested by Einstein. This introduces a new geometric approach to quantum gravity, the missing link to unification, extended to a discussion of energy flows in the vacuum as the key mechanism of the gravitational process. His ideas also relate to string theory in a scenario where the extra dimension, representing the ?thickness of the line,? can be allowed to exist from the Planck length up to the Hubble scale. An alternative picture of the structure of galaxies is proposed in the paper by Marek Biesiada, Konrad Rudnicki and Jacek Syska. The authors discuss the possible explanation of dynamical properties of galaxies with the theory of dilatonic balls using six-dimensional space. In the paper ?Electromagnetism and Cosmology? 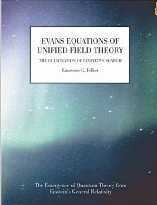 by Edward Kapu?cik a rather convincing argument is given that the correct unification of electromagnetism and gravity should start from some elementary and basic proto-fields which are neither electromagnetic or gravitational fields. The presently observed division of fundamental interactions into gravitational and electromagnic must be achieved by constructing composite fields from the proto-fields. In addition to the field equations, the gauge conditions also express physical laws and determine these composite fields. The last statement contradicts the point of view commonly adopted, which treats the gauge fields as auxiliary quantities. Two papers by F. Selleri show that transformations of space and time between inertial systems exist which are almost empirically equivalent to the Lorentz transformations. They contain a free parameter e1, the coefficient of x in the transformation of time. He shows that Michelson type experiments, aberration, occultation of Jupiter satellites, and radar ranging of planets are insensitive to the choice of e1. An exception is represented by experiments in slowly accelerated frames, e.g., those concerning the Sagnac effect. The best choice emerging from Selleri?s work is where the parameter e1 = 0, i.e., a theory different from Special Relativity. One of the goals of the Cesena conference was to find common ground among the dissidents beyond their certitude that some mainstream models are wrong. That proved surprisingly difficult, and the discussions showed why?we differed about which fundamental starting points were a valid basis for building models. Should model-building be driven my math or by physics? Are singularities allowed by reality? Can matter and energy be created or destroyed? Must the causality principle be respected? And so forth. One session on the last day of the conference was devoted to a discussion of these points, and we found that no unanimity existed about any of them. That led directly to the contribution by Van Flandern, ?Physics has its Principles,? which attempts to examine several such fundamental principles and show the consequences in each case of making a wrong assumption about its applicability or non-applicability. Whether or not this initial effort brings dissident views closer, it has certainly highlighted the points that must be resolved for any hope of a convergence of models and viewpoints in the future. Many physicists point to the proper functioning of the International Atomic Time system (TAI) in order to support the postulate of Special Relativity Theory about the one-way isotropy of light velocity in every inertial system, which has never been demonstrated. Contrary to this view, Manaresi demonstrates that the proper functioning of the TAI system does not imply the one-way isotropy of light on the moving Earth. This means that the second postulate of Special Relativity still remains merely conventional. Astronomical observations show that some fundamental cosmic properties come in discrete values. The ratio of observed properties, such as redshift or mass, for example, yields a ubiquitous factor of 1.23. In the paper by A. and J Rub?i? 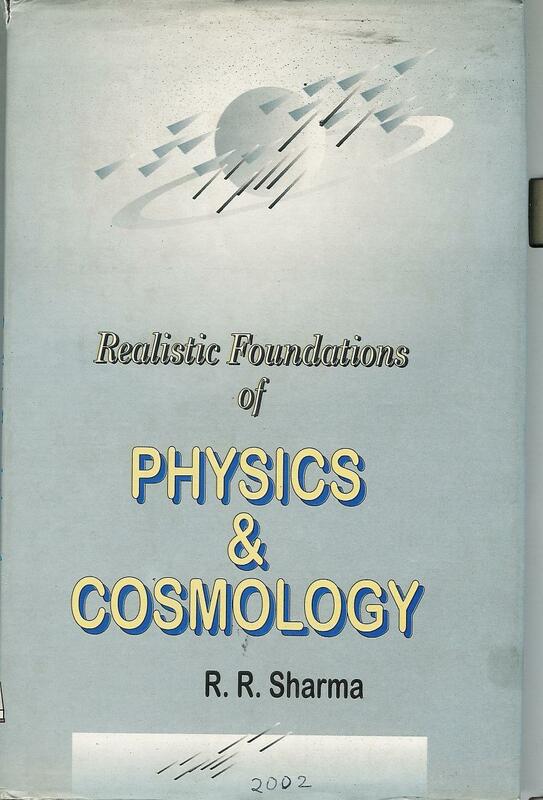 and H. Arp in this volume the properties of fundamental particles such as leptons and quarks are examined. The surprising result is that they also obey this ?quantization? rule. While there is no current explanation, these empirical results point to similar physical laws which extend from the smallest to the largest entities in the universe. This may lead to a physical understanding of redshift quantization. A very straightforward paper by K. Rudnicki, W. God?owski and A. Magdziarz presents a statistical elaboration of a very small sample of objects within the Iwanowska lines of galaxies and globular clusters. It shows that globular clusters, even located together with galaxies on the same lines, do not show redshift periodisation, whereas the galaxies do show the periodisation. B. Bligh starts with some basic notions of thermodynamics to expose some of the errors made by cosmologists. Thermodynamic calculations require an energy balance. He then presents calculations on the Hot Big Bang Theory using data provided by cosmologists. The results are presented in a table and graphs which show that the Big Bang Theory cannot be true. Mr. Bligh also explains that thermodynamic calculations are most easily done with the aid of a temperature-entropy diagram for hydrogen, a method that is demonstrated in detail in his book The Big Bang Exploded! Lastly, the paper by Cardone and Mignani deals with a problem that has been the subject of long-standing debate in the literature, namely the possibility of a breakdown of local Lorentz invariance (a subject revived in recent years, e.g., by S. Coleman, S.L. Glashow and R. Jackiw). In their paper, Cardone and Mignani report the preliminary positive results of an experiment which seems to evidence a DC voltage across a conductor induced by the static magnetic field of a coil. This intriguing finding ought, of course, to be confirmed by further independent tests, aimed at excluding possible gravitational effects, among the other things. Description of a German research project of international scope, presenting a documentation of 3789 publications criticizing the theory (1908-2003), distributing this documentation to libraries, to the printed media, and to eminent representatives of public opinion, and addressing open letters to the members of the German Federal Parliament (Bundestag), and to journals of several German newspapers. Without a doubt the most comprehensive compilation of source material on criticisms of the theory of special relativity, this book is a monument to the dissident heritage of the last 100 years. Anyone who only causually peruses this book cannot deny that thousands of individuals have challenged Einstein's theories, and that no period of time since 1905 has been without the voice of dissidence. A veritable mountain of largely-ignored work has accumulated over the past century, ready to speak to anyone willing to listen. This book, written under the pseudonym G. O. Mueller, serves as a mouthpiece for that voice. 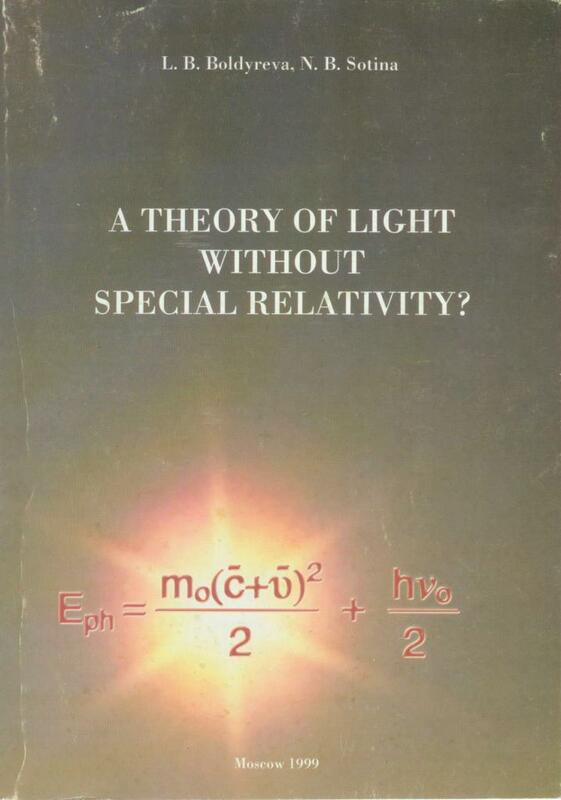 Much of this book was written a long time ago when the author first became aware of the concepts of Special and General Relativity. At the time he assumed that the subject was well thought out and understood by people more knowledgeable and probably more intelligent than himself. His goal was to learn from them and to understand the phenomena that was being described. He could not, however, accept the prevalent idea that the workings of Nature were beyond the ability of mere mortals to understand at the 'common sense' level. As he studied the subject, he learned that this dictum was an intellectual 'con game' by men who were acting in the manner of a priesthood defending the 'true faith' rather than scientists and who, when challenged on points which a bright physics or engineering student would easily understand, showed a rather limited ability to reason and covered their limitations by asserting that it was the challenger's limitations which prevented understanding. The dictum is not true, the mechanisms by which Nature operates are, for the most part, easily understood by reasonably bright (and interested) high school students, and the necessary mathematics and arguments to evaluate their validity of the are within knowledge of sophomore students of engineering and/or physics. (A knowledge of Integral Calculus, Elementary Physics, and Dimensional Analysis is all that is required for reader to check the material presented for himself.) It is the purpose of this book to make these mechanisms understandable to the general reader. This book contains three sections. The main section, 'The Einstein Hoax', starts with a description of the early history of Special and General Relativity and proceeds to show that the earlier published Lorentz Transformation-Aether Theory is, except for philosophical interpretation, identical to Einstein's Special Theory of Relativity and, in fact is a special case solution of that theory. As such, the Aether Theory must be a valid option if Special Relativity is to be considered valid. The Aether Theory, however, is easily understood in terms of 'common sense' while an examination of the conclusions of Special Relativity yield logical absurdities which no rational mind should be willing to accept. But, fair is fair, the proof of a theory or its interpretation is, and should be, in the experimental evidence. Fortunately, experiments in the field of Quantum Physics have demonstrated that photons emitted as pairs are coupled by their 'quantum numbers' (in this case their direction of polarization) and changing the plane of polarization of one of the photons changes the plane of polarization of the other. The interesting conclusion of these experiments is that the velocity of that coupling is at least four times the velocity of light and may even be infinite. A minor modification of the experimental setup would allow the effect to be used to determine the absolute velocity of the laboratory through space to an accuracy of better than 400 miles per second. Since the interpretation associated with Special Relativity cannot tolerate the idea of an absolute velocity, we must revert to the Lorentz Transformation-Aether Theory because Dr. Einstein's interpretation of Space-Time falls on its face. General Relativity is based upon the Principles of Relativity and of Equivalence, but a glance at its conclusions (the gravitational equivalents of the Lorentz Transformations for Velocity effects), shows that it erroneously yields results inconsistent with those principles. It yields a gravitational transformation for time which is not multiplicatively commutative (the property which allows Special Relativity to work) and yields a transformation for length of unity (the equivalent Lorentz Transformation for Length is the reciprocal of the Lorentz Transformation for Time). These deficiencies, which resulted from an error in mathematics which would not be tolerated if made by a freshman studying Calculus, led Dr. Einstein on a merry chase for about 18 months until he adapted the incomplete geometry of Riemann and concluded that space was curved. Unfortunately the resultant theory was relativistic and yielded results which appeared to work because the Sun's gravitational field is so weak (about a million times weaker than the field around a neutron star) and Relativistic Science was off and running, foolishly bringing us 'Black Holes', 'Singularities', 'Wormholes', etc. At the same time, while claiming to explain gravitation, General Relativity failed to explain the most significant gravitational effect, the source of gravitational energy and the force which holds you to your chair. For those who wish to dig deeper, the author rigorously derived the nature of the gravitational field in the appendix 'Gravity' (copyrighted 1987). Unlike the 'The Einstein Hoax', it does not require the reader to take the author's word for anything. Every step is clearly spelled out both in words and in simple equations so that the reader can verify the conclusions for himself. Also included is a second appendix entitled 'Corrections to Residual Errors in Special Relativity'. This appendix derives the Lorentz Transformation for Transverse Force correctly, defines mass correctly so that Special Relativity can be used for accelerated reference frames, shows the location of kinetic energy, in so doing, reveals the nature of inertial mass. I hope that you will read this book with an open mind and judge for yourself the validity of the conclusions. I do promise that it is closer to reality than current concepts and, if any reader can find a significant flaw, it will either be corrected or the book will be withdrawn. It is time to end the 'Einstein Hoax'. Abstract: The Theory of Special Relativity has two requirements i relation to the behavior of light. The first is that the speed of light is independent of the speed of its source. The second is that the speed of light is measured as a constant by observers in Inertial Frames, who are travelling at uniform speed relative to each other. the first requirement is confirmed as correct in this paper; the second is contradicted. The fact that a light signal that is sent both clockwise and anti-clockwise, around a path on a rotating disk, takes different times to return to the source. was discovered by Sagnac over eighty years ago. An explanation of this phenomenon is put forward, which leads to the conclusion that time recorded aboard a moving abject does not differ from time recorded by a stationary observer, and that the dimensions of moving and stationary objects are the same. It is also shown fro tests that electromagnetism does not depend solely on relative motion. A new theory is put forward which is in conformity with both the Michelson-Morley and Sagnac experiments, and with tests on electromagnetism. The book emphasizes the very obvious and real fact that a wave cannot exist without its propagating medium. Therefore Relativity's dismissal of the medium for light wave created the greatest confusion in science and obscured the inherent wave-quantum unity in radiation. The confusion got confounded when Quantum Theory split the wave-quantum unity for radiation and matter into wave-or-quantum duality with precarious support of the Principle of Complementarity. As the first ever attempt to rectify conceptual foundations of Physics and Cosmology, the herein proposed UNIFIED PHYSICAL THEORY (UPT), unifies physical concepts arising largely from the all-pervading and all-composing new real space medium as ?basic substance? to propagate electromagnetic, gravitational and colour waves. It is composed by the new particle ?sharmon? made of two micromost basic elements, positive positrino and negative negatrino. These are named ?cosminos? as they compose all forms of mass, energy and radiation in the Cosmos, besides 'sharmon'. Modern Standard Model based on quarks and leptons, in contrast to UPT?s two cosminos, has over hundred elementary particles, and the Super Symmetry twice as much, making the term "element" meaningless. The UPT is the first and only theory, which describes this basic composition unity in Nature, besides all other observations and phenomena that current theories address. Time-containing and time-free wave equations propagating wave-quantum unity in radiation and matter (unexplained in Quantum Theory) are derived and constancy and invariance to source-observer motion of light velocity (not explained by Special Relativity) are explained. Basic charges (mass, electric, colour), fields and forces (gravitational, electromagnetic, colour) are unified. Dynamic (cosmino-sharmon) structures free from the g and m anomalies of electron, proton & neutron; theory of non-expanding universe and Principle of Null Action are proposed. UPT opposes the concepts of Higgs boson, weak charge, anticausality 'objective indeterminism' of the Uncertainty Principle, creation of matter from nothing in the expanding universe, contraction of actual length due to observer motion, massless photon &c. Predictions on neutron?s electric dipole moment and neutrino mass stand verified. Other predictions are, no particle is massless, no fermion is neutral, and universe is not expanding, since galactic red shifts do not increase exponentially with time. All this marks the beginning, and illustrates re-writing, of realistic Physics and Cosmology. This work intends to revisit and look in depth to the questions of Absolute Space and Relativity. In particular, its purpose is to provide an alternative derivation of the effects described by Special Relativity, based on a description that assumes a privileged reference frame. Dr. Mills has advanced the field generally known as Quantum Mechanics by deriving a new atomic theory--The Grand Unified Theory of Classical Physics (GUT-CP)--from first principles, which unifies Maxwell?s Equations, Newton?s Laws, and Einstein?s General and Special Relativity. The central feature is that physical laws hold over all scales, from the scale of subatomic particles to that of the cosmos. Quantum Mechanics has remained mysterious to all who have encountered it. Whereas Schr?dinger postulated a boundary condition that the wavefunction goes to zero as the radius goes to infinity, resulting in a purely mathematical model of the hydrogen atom, GUT-CP was derived from known physics, i.e. Maxwell's Equations. Under special conditions, an extended distribution of charge may accelerate without radiating energy. This leads to a physical model of subatomic particles, atoms, and molecules. Equations are closed-form solutions containing fundamental constants only and agree with experimental observations. Further, the Schwarzschild Metric is derived by applying Maxwell?s Equations to electromagnetic and gravitational fields at particle production. This modifies General Relativity to include conservation of spacetime and gives the origin of gravity, the masses of fundamental particles, the acceleration of the expansion of the universe (predicted by Dr. Mills in 1995 and since confirmed experimentally), and overturns the Big Bang model of the origin of the universe. I grew up and was educated (1960s) in a time when Einstein's lifelong (but unattained) quest for a unified field theory was celebrated rather anecdotally, as a sort of historical curiosity. One spoke of theories as 'tools', or 'models'. The prevailing mentality was 'one model does not fit all.' A model would work and be useful in one set of circumstances but not another; use a model to get practical results, but a pursuit of absolute unifying truth was regarded largely as a waste of candle wax. Other characteristics of this time in science were intolerance, arrogance, and rigidity. Scientists preened and postured, became intensely political, and delegated the 'doing' of science to students. Science was becoming big science - a big governmental and corporate enterprise - demanding more resources and becoming less accountable." We now have an expensive standing army in American science, marching in place, with little creative, definable mission. Most of what passes for science is merely chauvinism - who has the largest accelerator, etc. Now along comes Randell Mills. Without expending billions or even millions or even hundreds of thousands of US taxpayers' dollars, Dr. Mills has apparently completed Einstein's quest for a unified field theory. Dr. Mills' theory is presented in his book, The Grand Unified Theory of Classical Quantum Mechanics (November 1995). This is a huge achievement for three reasons. First, the Mills Theory tidies up theoretical physics by stitching together quantum mechanics and relativity. That in itself is a major triumph. Second, and more important, the Mills Theory explains several major empirical anomalies that have vexed physicists for decades: the sun's energy balance deficit; the dark matter in space phenomena; and mountains of atomic-electron spectral data that is inconsistent with prevailing theory. Third, the Mills Theory gives rise to the possibility of an inexhaustible energy source based on phenomenology not yet recognized and accepted by the scientific community." This book was conceived for the technician and layman but without losing any scientific rigor that may be of concern for the professional physicist. The conceptual details of Autodynamics have been considerably expanded upon, not just for clarification, but also to show, as simply as possible, where Einstein's mistakes originate. Contents: Memory, Foreward, Introduction, "Truth", Introduction to AD and Philosophy, Systems in Relative Motion, Simultaneity, The Neutrino, Universal Gravitation, Big Bang, Gravitational Lens, Compton Effect, Dragging, Sting and Super String Theory, Decay, Faster than Light, Super-Kamiokande: Super-Proof for Neutrino Nonexistence, Lorentz and AD Transformation, SR's Mass Derivation Starting from Momentum, Questions or Unsolved Problems in Physics and Cosmology, A Nobel Laureate, Newton-Einstein Billiard Ball Mechanics, The Principle of Equivalence, Time Dilation. 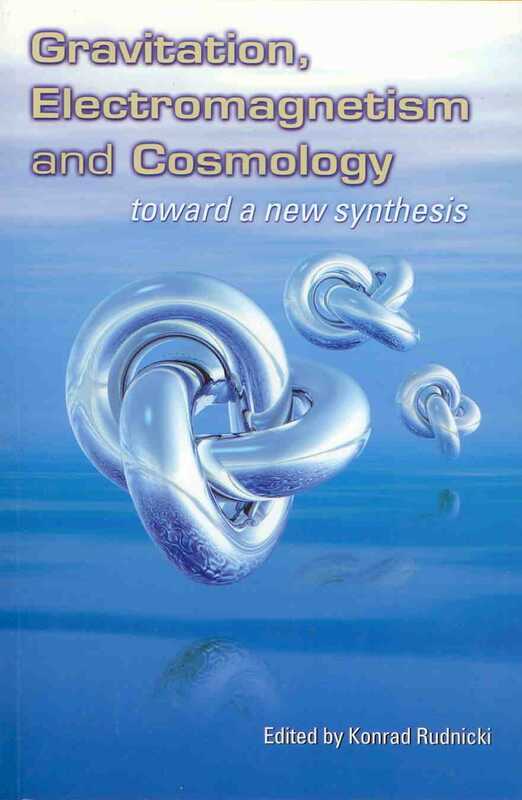 This book, Storm in Physics (Autodynamics), and essentially the technical book, Autodynamics: Fundamental Basis for a New Relativistic Mechanics, are the culmination of the life work of Dr. Ricardo L. Carezani, a man whose work is built on the solid mathematics and reasoning of Sir Isaac Newton and other giants of physics who existed before "magical science" began to be accepted by mainstream physicists. By "magical science" I mean physics that must resort tocreating "missing" particles and otherwise making adjustments to reality in order to have the science fit the theory. Magical sciences include, but are not limited to, such theories as General Relativity, Special Relativity and String Theory, some of the most entrenched "beliefs" held in scientific circles today. Carezani's theory, dubbed Autodynamics, has no need for such antics as inventing particles like the neutrino (which, despite all the so-called "evidence" to the contrary, and all the palaver of scientists today, has NOT been found to exist), in order to explain how the universe works. Dr. Carezani has not needed to create any new postulate or invent a new Theory of Relativity;contrarily, at the center of Dr. Carezani's theory is the correction of Lorentz' misunderstanding of the systems of Relative Motion and Pauli's misunderstanding in applying Einstein's incorrect equations to Decay. In contrast to gravity as an attracting force inherent in all matter, Newton's historical "fluxion" and fundamentally, Le Sage's "mundane particle," championed later by Luis de Broglie as the "graviton" and taken up by Carezani as the "pico-graviton," creates a "pushing" force by virtue of its traveling through space and striking other bodies or particles. According to Carezani, pico gravitons make up the majority of particles in space. As these moving pico gravitons meet physical bodies, some of them are absorbed by the particles of these bodies, making the bodies heavier over eons of years. This, essentially, creates a new Celestial Mechanics. Many questions still unanswered by science today are answered by Autodynamics. These questions are brought up in the DVD on Dr. Carezani's work, Universal Gravitation and Autodynamics. Stripped of the mathematics used in Dr. Carezani's book, the DVD leaves you with a very clear understanding of his work and of the importance of sharing it with the world. 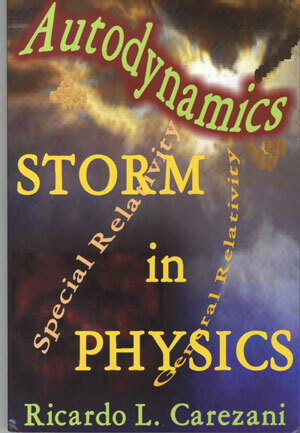 If physics interests you, get a copy of the book, Storm in Physics, and the DVD, Universal Gravitation and Autodynamics. If you're not into math, get the DVD. I recommend both to anyone interested in knowing how the universe really works. Fresh insights into aspects of Einstein we don't usually consider: his mistakes and the role they played in the discovery of his theories. Although Einstein was the greatest genius of the 20th century, many of his ground-breaking discoveries were blighted by mistakes, ranging from serious misconceptions in physics to blatant errors in mathematics. For instance, Einstein's first theoretical proof of the famous formula E = mc? was incomplete and only approximately valid; he struggled with this problem for many years, but he never found a complete proof (better mathematicians did). In this provocative forensic biography, Hans Ohanian dissects this and other mistakes and places them in the context of Einstein's turbulent life and times. Einstein was often navigating in a fog of irrational and mystical inspirations, but his profound intuition about physics permitted him to reach his goal despite?and sometimes because of-the mistakes he made along the way. Einstein's uncanny ability to use his mistakes subconsciously as stepping-stones toward his revolutionary theories was one hallmark of his genius. 25 illustrations. A close examination of Einstein's work, emphasizing the errors and wrong turns that even colleagues overlooked.Ohanian, a former editor of the American Journal of Physics, proceeds through the years, rarely missing a paper, speech, interview or controversy. The author covers many fields, because Einstein made not one but several breakthrough discoveries; his Nobel, in fact, was for the photoelectric effect, not relativity. Einstein admitted that mathematics was not his strong suit, but beyond the torrent of errors in that area, Ohanian also finds mistakes in physical assumptions that range from oversimplification to outright nuttiness. Max Planck, working as a journal editor, read the unknown Einstein's revolutionary 1905 paper on special relativity and found a major error in the discussion of relativistic mass. Recognizing the paper's importance, Planck approved it and later worked out a correct recalculation for which he has never received credit. Because of Einstein's fame, everyone believes he discovered the equation linking mass to energy. In fact, other physicists knew of it for years, and his 1905 proof was incomplete; once Max Von Laue produced a complete proof in 1911, Einstein adopted it. Ohanian emphasizes two absolute laws of research. One: If a scientist makes a brilliant discovery, everyone forgives mistakes he made along the way. Two: If he becomes a scientific superstar, he gets credit for everything in his field. Thus Einstein gets credit for everything connected with relativity, including earlier discoveries and those of colleagues who improved his work. Dennis Overbye's Einstein in Love (2000) gives the best popular account of his science, while Walter Isaacson's bestselling Einstein (2007) is the best on his life. Ohanion's book delves more deeply into physics and into Einstein's thought processes, so readers will have to pay close attention.A sophisticated overview of modern physics, including more of Einstein's missteps than readers usually encounter. In Quantum Ring Theory Wladimir Guglinski presents a radical new theory concerning the fundamental nature of physics. Hailed as a intriguing theorist by Dr. Eugene Mallove, president of the New Energy Foundation, Guglinski argues that the current understanding of physics does not put forth an accurate model of the world. Instead, Guglinski argues that we must once again consider the "aether," a notion originally put forth by Greek philosophers. By considering the nature of "aether" and its role in physical processes, Guglinski is able to put forth a theory that reconciles Quantum Physics with the Theory of Relativity. To date, no other physical theory is able to accord for the intraction between these two fundamental areas of physics. As part of Guglinski's new theory, the author presents a new model of the neutron. Guglinski's model of the neutron has been confirmed by contemporary physical experiments: The first one was made by Don Borghi and published in 1993 by the American Institute of Physics; the second experiment was made by Elio Conte and Maria Pieralice, subsequently published in the magazine Infinite Energy in 1999. Currently, other experiments around the world are being conducted to test the remainder of Guglinski's theoretical work. Quantum Ring Theory presents for the first time in a complete text the theoretical work of Wladimir Guglinski. In this volume cutting edge theoretical work in physics is presented; theoretical work which may ultimately change the very way we understand the world. 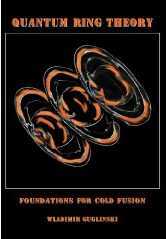 This book presents a local-ether wave equation for electromagnetic and matter waves. From this wave equation, a time evolution equation is derived, which represents modifications of Schrodinger's equation. From this modified equation, an electromagnetic force law is derived, which represents modifications of the Lorentz force law. From the modified force law, relationships between electric and magnetic fields are derived, which represent modifications of Maxwell's equations. By refining the wave equation with a gravitational potential, the gravitational force and the mass are derived. Moreover, numerous consequences of the wave equation can account for a wide variety of important experiments in modern physics, the special relativity, and the general relativity. Thereby, the local-ether wave equation unifies quantum mechanics, electromagnetics, and gravitation. The theory of Quantum Electromagnetics presents a wave equation which is constructed, in compliance with Galilean transformations, for electromagnetic and matter waves. A fundamental feature entirely different from the principle of relativity is that the wave equation is referred specifically to the proposed local-ether frame. For electromagnetic wave, the local-ether wave equation accounts for a wide variety of experiments on propagation and interference. For matter wave, the wave equation leads to modifications of Schrodinger's equation which in turn lead to a unified quantum theory of electromagnetic and gravitational forces in conjunction with the origin and the identity of inertial and gravitational mass. Further, it leads to modifications of the Lorentz force law and of Maxwell's equations. Moreover, the wave equation leads to the dispersion of matter wave, from which the speed-dependence in the mass of a particle and in the wavelength, angular frequency, and quantum energy of a matter wave can be derived. The consequences of the wave equation are in accord with a wide variety of experiments that are commonly ascribed to the special relativity, the general relativity, the Lorentz mass-variation law, or to the de Broglie matter wave. Thereby, the local-ether wave equation unifies quantum mechanics, electromagnetics, and gravitation. In 1997, amid much fanfare, Leo Corry announced to the world that he had uncovered proof that Albert Einstein arrived at the generally covariant field equations of gravitation, before David Hilbert. Leo Corry joined with Juergen Renn and John Stachel and published an article in the journal "Science" arguing against Hilbert's priority. Their claims were largely based on a set of printer's proofs of David Hilbert's 20 November 1915 Goettingen lecture, which Corry had uncovered. However, in this 1997 article, "Belated Decision in the Hilbert-Einstein Priority Dispute," Corry, Renn and Stachel failed to disclose the fact that these printer's proofs were mutilated, and are missing a critical part. Full disclosure of the facts reveals that even in their mutilated state, these proofs prove that Hilbert had a generally covariant theory of gravitation before Einstein, and that Einstein plagiarized these equations from Hilbert. The author of "Albert Einstein: The Incorrigible Plagiarist" focuses in on the general theory of relativity and discredits the baseless historical revisionism of Leo Corry, Juergen Renn and John Stachel. The direct comparison of primary source material demonstrates that Albert Einstein did not originate the theory of relativity. Formal mathematical proofs explain how Einstein was forced to fudge his equations in order to derive the results Paul Gerber and Johann Georg von Soldner had published long before him. Einstein did not yet have the benefit of plagiarizing David Hilbert's generally covariant field equations of gravitation and was operating under an erroneous assumption. An extensive history of the principle of equivalence proves that Einstein plagiarized this idea. The book reprints the relevant papers by Einstein, Soldner, Gerber, and Hilbert, as well as the remainder of David Hilbert's mutilated printer's proofs of his article "The Foundations of Physics". While the book presents the mathematical proofs needed to justify its claims, the non-mathematical reader will find it rich in prose and will be able to follow the arguments and the history presented. Einstein was Right! Quantum Mechanics and General Relativity are the two main theories of physics that describe the universe in which we live. Attempts at combining them have been made since the 1920's with no success. Albert Einstein spent much of his later years searching for the key to unification. He never fully accepted quantum theory and maintained it was incomplete. Quantum theory has supplied answers to questions involving basic particles and electromagnetism. Relativity has explained gravity and the unity of space and time. However, the two have not, until Evans developed a new paradigm and the equations to prove it, been combined. Einstein showed that gravitation is the curving of spacetime, not an attractive force between masses. Evans has showed that electromagnetism is the spinning of spacetime. It is not a force superimposed upon the spacetime rather it is a property of spacetime itself. Using Cartan differential geometry, Evans describes Einstein's gravitation and quantum electromagnetics in the same equations. 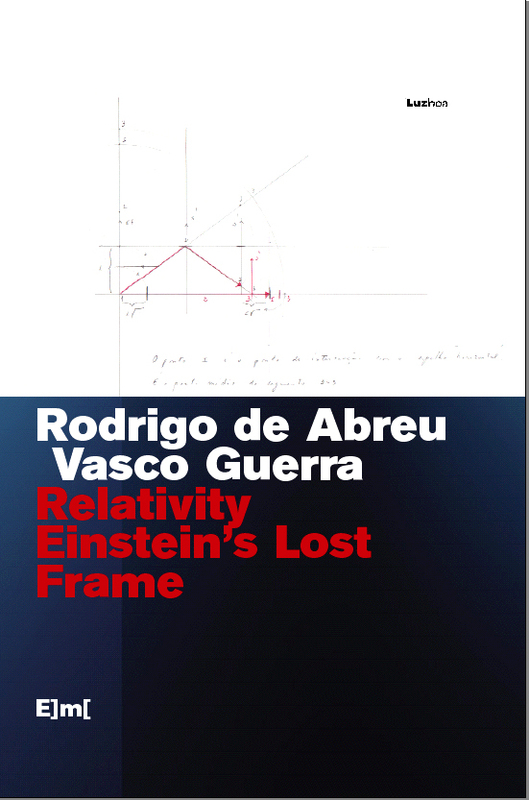 All the basic equations of physics emerge from General Relativity using Cartan's geometry.This book describes the basics of special relativity, quantum mechanics, general relativity, and the geometry used to describe them. Then it details the basics of Evans' discoveries and their implications. Laurence G. Felker is a controls engineer and has studied physics for his whole professional career. His previous published work has been in technical journals and this is his first physics book. A diagnosis is an analytical procedure in which the patient is closely examined to learn what ails him ? and what cures are needed. In reading these papers, the reader comes to understand the theory much better than in reading the books which merely explain the theory. The authors of these books repeat the errors and common misinterpretations that have created the theory's mystique for the last century. This Omnibus clarifies and corrects the theory in such a way that the reader comes to a superior understanding of it. The beauty of it is that one does not have to be a mathematical wizard to follow the process. The math is not only simple but each equation is explained in detail. The illustrations help a great deal also. On the whole, the Omnibus is a fascinating learning experience in which one is brought to the forefront of the discipline. Translated from Russian by Mikhail Boldyrev. The nature of light being a subject of intensive research and speculation over the centuries still remains a "dark" issue of modern physics. It been established that light transfers energy from the source to the receiver by discrete portions, the quanta. However, there is no unified point of view on the nature of the material carrier of the light quantum, that is, the photon. There are several types of photon used in descriptions of the experiments that demonstrate quantum optical effects (Sec. 5). The difference in usage of the term "photon" reflects the difference in interpretation of the results of such experiments. Among quantum optical effects the so-called "essentially quantum effects" that have no classical analogues are worth special mentioning. Such effects cannot be described in the framework of the semi-classical model based on the Maxwell equations, and quantum models are used to describe the effects. This book is an open challenging invitation to "Einsteinians' -- particularly so to the person like Professor A. I. Miller of the USA who in his recent book ?Albert Einstein?s Theory of Special Relativity? (Addison-Wesley, 1981) has undertaken to apotheosize Einstein whose work if not an act of straight plagiarism is definitely ?A BIG HOWLER? ; infested with infidelities. The ?Transformation Maze? is another interesting feature of the book. Besides, it also contains outlines of the authors? ?SIMILARITY THEORY?, perhaps the only valid alternative. 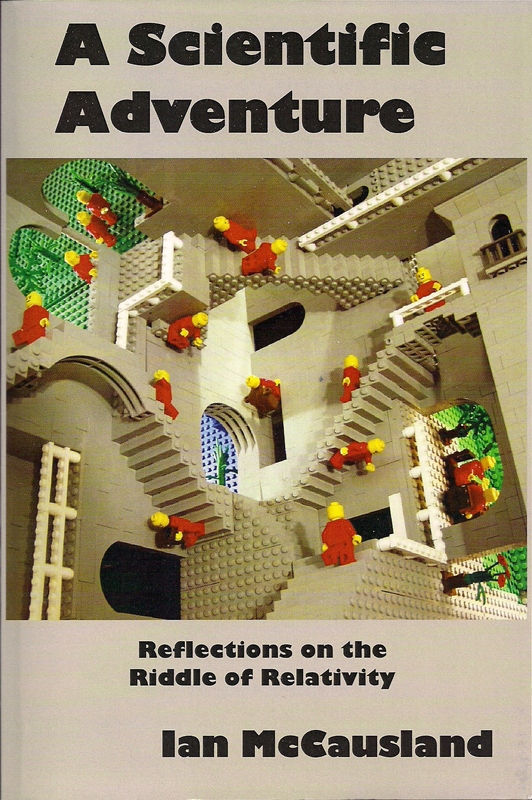 Selected Papers From the Biennial Conferences on Physical Interpretations of Relativity Theory (1988-1996). The conferences were sponsored by the British Society for the Philosophy of Science and held at the Imperial College, London. 84 Ludwik Kostro, WHAT IS THIS: A CLOCK IN RELATIVITY THEORY? 206 Lawrence Sklar, THE CONVENTIONALITY OF SIMULTANEITY! AGAIN? 225 S.C. Tiwari, REALITY, INTUITION, AND MIND: REFLECTIONS ON THE PHILOSOPHY OF H. POINCAR? 90 Mehdi Golshani, HAVE PHYSICISTS BEEN ABLE TO DISPENSE WITH PHILOSOPHY? 169 Alexei V. Nesteruk, IS A WAVE FUNCTION COLLAPSE A REAL EVENT IN SPACE AND TIME?